Let us help with your trees, shrubs, and hedge pruning today! Trimming and pruning trees improves their health, looks, increases light penetration, air circulation and reduces diseases. Pruning is necessary to promote good plant health, remove damaged limbs, encourage new growth, and maintaining shape. Cabling and bracing can insure your trees live far longer than their structure was designed for maintaining there beautiful structure and shape. 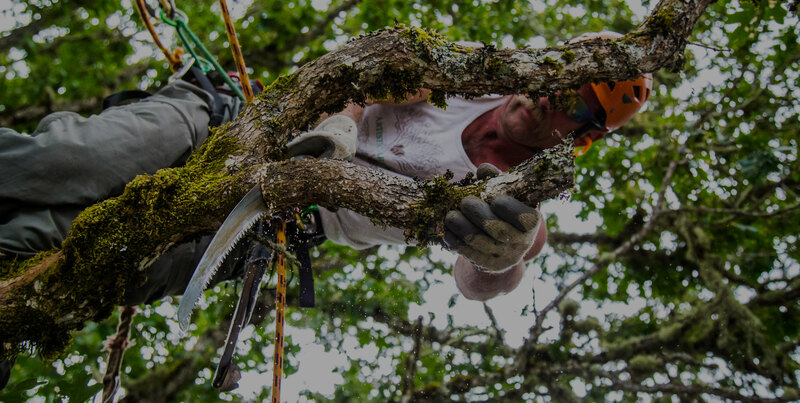 Highly trained arborists who safely and efficiently remove trees and thoroughly clean up debris and minimize the impact to surrounding vegetation. We use biodegradable sunflower based chainsaw oil (eco-friendly) in our saws instead of standard bar oil. We use organic fertilizers as well, which makes Artistic Arborist's work safe around young children, organic gardens, animals and chickens.